They’ve finally done it. 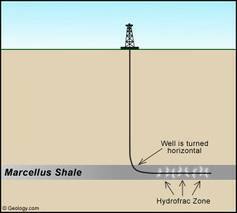 Environmental activists in New York State have succeeded in putting a halt to hydraulic fracturing to harvest natural gas from shale formations in the state. The New York State Senate voted 48 to 9 on Tuesday night to halt the process until May 15, 2011 out of concerns over groundwater contamination. Though it won’t become law until the State Assembly passes similar legislation, which they won’t consider until next month, this represents a major threat to an old and proven technique to recover this clean burning fossil fuel. 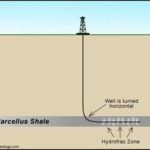 New York, Pennsylvania and West Virginia sit on top of the Marcellus Shale, one of the largest natural gas bearing shale formations yet discovered. Exploration companies have begun purchasing leases in all three states, and these states are poised to reap benefits similar to those being seen from the Haynesville Shale formation in north Louisiana and the Barnett Shale formation in Texas. Now, New York’s environmental activists have put their share on hold because of unsubstantiated concerns about groundwater contamination. “This is the first action in the country to put the brakes on this type of drilling to give New York the time we need to assess the risks if we’re going to move forward responsibly,” said Katherine Nadeau, a program director with Environmental Advocates of New York. We can only hope, skeptically, that it’s the last. In hydraulic fracturing, water is mixed with ordinary playground sand and various chemicals that are less than 0.5 percent of the total volume. The mixture is then injected under high pressure deep into the ground, where it cracks open shale formations and releases clean-burning natural gas. When the water is removed, it is generally trucked away to be disposed of via waste water treatment plants in accordance with state regulations. This was not the conclusion the environmental left was looking for, and they have been hammering away at it ever since, finally gaining the attention of Henry Waxman and the Obama EPA, who continue, thus far with little success, to bring regulation of fracturing under the jurisdiction of that federal agency. Now it seems that the New York State Senate has cracked open the door for yet more investigation into the process. And they’re proud of their accomplishment (again quoting the New York Times). “Speaker Quinn and I urge the Assembly to follow the lead of the Senate and for Governor Paterson to sign this historic first-in-the-nation hydraulic fracturing moratorium bill,” he (Councilman James F. Gennaro, head of the City Council’s environmental protection committee) said, referring to Christine C. Quinn, the City Council speaker. And should they not be? By their actions, residents of New York can look forward to continuing to pay among the highest taxes in the nation, while residents of Pennsylvania and West Virginia begin realizing the revenue stream that natural gas production will bring. Welcome to our world, Mr. Gill. Rather than enjoying the benefits that north Louisiana is receiving because of using hydraulic fracturing to harvest the natural gas in the Haynesville Shale, New Yorkers will suffer the consequences of an ideological moratorium such as south Louisiana is suffering, for naught.